Imagine breathing in the ocean wind while teeing off in Bermuda or learning the history of the game while making par at St. Andrew's. Whether you want to see how your game measures up against the pros on a PGA Tour course, or bask in the lush green scenery of an exotic locale, a golf vacation is the ultimate getaway for those who love the game. Find real excitement playing a new, unfamiliar course, especially one thousands of miles from home. Because of golf travel's popularity, tour operators are offering increasingly competitive deals on domestic and international packages - from budget to luxury. Work with your travel consultant to narrow down the many tour operators that offer packages to destinations you would like to visit and play. In particular, you want a tour operator experienced in golf packages that can provide you with excellent, even preferred tee times and can coach you and your companions in all of the local rules of the courses you will visit. 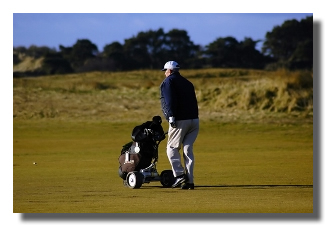 Many tour companies offer "golf widow" rates for any in your group who may travel along but do not play. Tour operators assist with daily itineraries, accommodations, and transportation and provide access to courses and opportunities you might not be able to achieve on your own. Choosing a destination and a corresponding course that suits your game is the most important factor in planning your dream golf vacation. If traveling with other players, you will also need to take their abilities, ages and health into consideration. If the skill levels of your companions vary dramatically, perhaps you will choose a destination that boasts an assortment of courses with varying difficulty. And if non-golfers will be joining you, you'll need to make sure other activities are available for them to enjoy, such as the beach, mountains, museums, art galleries, historic landmarks, and other tourist attractions. The number of potential destinations for your golf vacation is truly staggering. 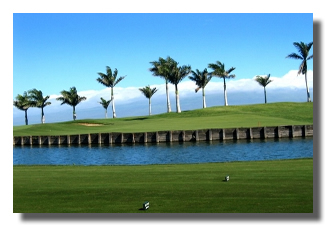 Practically every country in the world that has a tourism industry has golf listed as one of its primary attractions. You could head to Ireland or Scotland and become one with the history and mystery of the game as well as enjoy summertime hours on the course as late as 9 p.m. You can head to Hawaii and learn to surf and bogie on the same day. The Caribbean, comprised of 700 islands, offers more possiblities than you can imagine. Then you have exotic, Far East destinations where golf has taken a firm but zen-like grip on nations like Japan and Thailand. Not to mention spectacular domestic destinations like Phoenix, Palm Springs, or the Greenbriar in West Virginia. Perhaps you will want to take advantage of several courses on your trip. If this is the case, you should allocate sufficient time for transportation between courses and the logistics of settling into your accommodations. On the other hand, if you're limited to a weekend trip, sticking with one or two courses will allow for some relaxing downtime. If you wish to play courses other than those included in your tour package, your travel consultant should easily be able to make the necessary arrangements and adjust the price of your package accordingly. Before leaving home, you will want to know whether the course you'll be playing has any restrictions. More popular courses often require a particular handicap of players, and at times, a home course letter of recommendation. Such courses might also specify a maximum amount of time allotted to complete a round - something to consider, especially if the course does not allow golf carts. 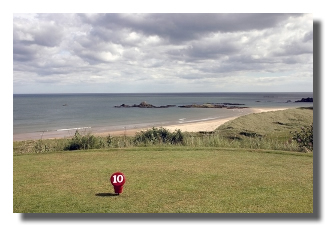 These restrictions ensure that play is continuous and enables more golfers to enjoy the course. 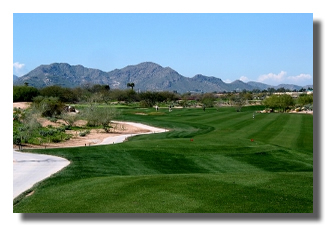 When playing a new course, it's a good idea to arrive early and familiarize yourself with its layout. Allowing time for practice on the range and putting greens should help you adjust to the course more quickly. Do remember to take into account your destination's climate. When traveling to the U.K., for instance, know that rain and wind will likely be factors in your game. When heading to the southeastern U.S., consider hurricane season. Furthermore, if a course closes because of rain, you may want to be in a destination that has other means of entertainment. But if there is nothing you would rather do on vacation besides golf, be sure to choose a destination with a mild and consistent climate. If you're on a budget, you have an opportunity to save money and still play some of the best courses by traveling off-season. Your travel consultant will help you plan for "low" to "high" season travel, but if you choose the low season, remember that the trade-off is almost always your weather conditions. While the savings can be substantial, if you are planning on a trip to Florida or a tropical destination, do not underestimate the heat. However, in other destinations, such as Ireland and Scotland, off-season weather can translate into wet, cold and gale-force winds. Choose wisely! In general, golf schools offer professional instruction for small groups with a particular skill level. Be sure to inquire about the school's teacher/student ratio before you go. One-on-one lessons may also be available at an additional cost. Instruction is usually given early in the day so participants can practice what they've learned in the afternoon. Golf school programs vary in length from a day to a week, and program costs vary as well. Costs are generally dependent on the intensity of the instruction, travel season, and whether or not accommodation and meals are included. As you pack, keep in mind that golf courses have strict requirements regarding attire. Golf shoes are a must, as well as collared shirts, long shorts and/or pants. Also be aware of your destination's climate - rain gear is always advisable. Since playing with a set of clubs different from your own can hinder your game, renting clubs, though an option at many courses, is not advisable if it can be avoided. When traveling by plane, pack your clubs in a high quality travel bag, and stuff the bag with as many small items as possible (gloves, balls, tees, etc) to conserve space in your luggage and to provide a bit of padding for your clubs. Just a note - clubs cannot be a carry-on item, so don't even try. A hard-case is recommended for travel on airlines to prevent damage to the clubs from other bags and inevitable rough handling. As a precaution, check to see if the loss of your clubs would be covered under your homeowners insurance, or if a rider to your policy is necessary. When you make your final plans, inquire about relevant cancellation policies, as well as any fees incurred if you change your golf schedule. And although you're counting on sunny skies, you may want to ask about a rain refund policy. Once your plans are set - it's time to relax and enjoy the trip ahead. Travel on, and tee up! The green awaits.